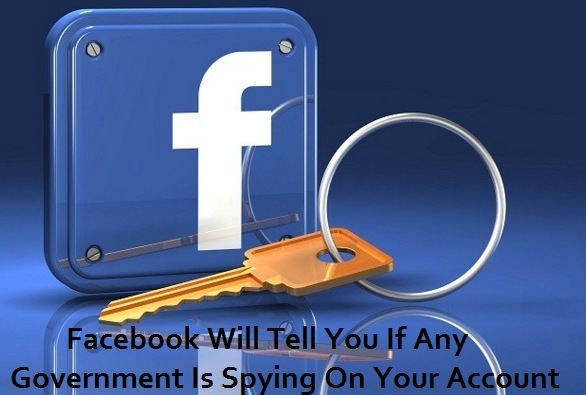 Facebook Will Tell You If Any Government Is Spying On Your Account. While we have always taken steps to secure accounts that we believe to have been compromised, we decided to show this additional warning if we have a strong suspicion that an attack could be government-sponsored. We do this because these types of attacks tend to be more advanced and dangerous than others, and we strongly encourage affected people to take the actions necessary to secure all of their online accounts. It's important to understand that this warning is not related to any compromise of Facebook's platform or systems, and that having an account compromised in this manner may indicate that your computer or mobile device has been infected with malware. Ideally, people who see this message should take care to rebuild or replace these systems if possible. To protect the integrity of our methods and processes, we often won't be able to explain how we attribute certain attacks to suspected attackers. That said, we plan to use this warning only in situations where the evidence strongly supports our conclusion. We hope that these warnings will assist those people in need of protection, and we will continue to improve our ability to prevent and detect attacks of all kinds against people on Facebook. Alex Stamos is the Chief Security Officer at Facebook.